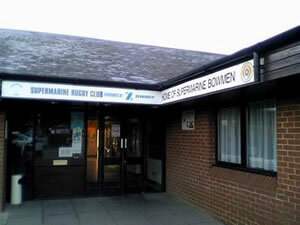 Supermarine Bowmen is associated with the Supermarine Sports Club based at South Marston, Swindon, Wiltshire. The club forms part of the Dorset and Wiltshire Archery Association and is affiliated to the Grand Western Archery Society and the Grand National Archery Society. 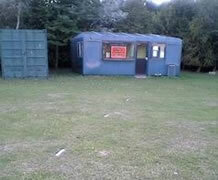 We have an outdoor club hut and range that has room for 15 targets. During the indoor season we shoot in the sports hall in the main building. Why Supermarine? Vickers Supermarine Bowmen had it's beginnings at Hursley Park Winchester, when during the second World War Vickers Supermarine (builder of the Spitfire) had a design centre there. In 1958 the centre was closed and the operation was moved to the Vickers Armstrong works at South Marston (Swindon), where some of the original archery club members from Hursley Park decided to form another club. Sunday 2pm onwards (BST) but 10am onwards (GMT). Wednesdays and Fridays 5pm until dusk. Occasionally there will be times when many members are away at tournaments, especially during the summer. This means that there may not be a key holder available for Sunday afternoon shooting. Every effort however is made to ensure this does not happen, but if you intend to shoot on a Sunday afternoon it is best to check with a committee member that there will be a key holder present. The Club is organised and managed by ten hard working Committee members on a purely voluntary basis. However, to make the Club successful and meet the need of its members, the committee requires support and help from all the club members, for example at the Wiltshire 1440 tournament and the occasional maintenance of our facilities. Supermarine Bowmen are located on the North East side of Swindon just off the A361 between Swindon and Highworth. Whilst every effort will be made to keep members informed of events and news, it is not always possible to contact all members at any given time. There is a row of pigeon holes in the pavilion in which you will find a folder (under your surname). Information relating directly to you will be placed into these folders (the treasurer makes good use of these), please check them regularly. Every effort is made to place general information on the notice boards, both in the pavilion and in the club building. You are urged to look at the information as it will keep you up-to-date to what is going on. The club makes use of e-mail services and electronic newsletters to contact it's members. If you haven't already you should put your e-mail address on the mailing list via the member's area. The password for the member's area is displayed in the clubhouse. Newsletters are produced every 2-4 weeks and you will be alerted to them being available on the website via e-mail. During the summer months there are a number of tournaments throughout the region, in the past many club members and the club as a whole have come away with many honours. In order to ensure that Supermarine continues to be a successful club we need more members to take part in these tournaments. The Tournament Secretary will be more than happy to advise on which competitions are best for your level. 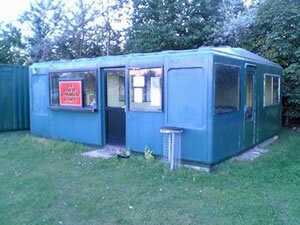 The club hosts three tournaments each year - the WA Weekend in mid July and the Marston Arrow in early September. These tournaments are well attended by archers from up and down the country, and bring in much needed revenue for the club. However, these tournaments take a lot of organising and hard work on the day before (usually Saturday) and on the tournament day. We hope all members can contribute something to these and any other event organised by the club in the coming year. It is your club, and the committee is there to serve your needs. Please take an active roll in the club, its organisation and running. The archery range extends to over 100 yards and has room for 15 targets. At the top end is the club hut.Â The line of white wooden blocks along the ground is the equipment line.Â Please ensure that all equipment is kept behind this line whilst shooting is in progress. The shooting line is marked by a series of blocks, each one marking the centre of a target lane. 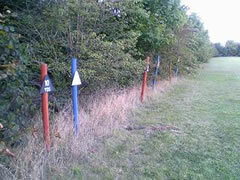 Along the side of the range are the distance markers.Â The blue markers mark the metric distances and the brown the imperial distances. There are also marker blocks along each target lane at each distance to mark where the target should be placed.Â Each is numbered to indicate which target lane it is the marker for.Â Again these are blue for metric distances and brown for imperial distances. Supermarine Bowmen are in the position of having six Archery GB qualified coaches. We have therefore formed a coaching group which will attempt to avoid some of the confusion for members, that can result in taking advice from more than one person at a time. Any member who wishes assistance with their equipment or shooting on an individual basis should approach a coach of their choice from the coaching group listed below. Should that coach be available, and they decide to work together, it would become a matter of etiquette that whilst an archer is receiving guidance from one coach, he or she does not seek guidance from another. The members of the coaching team will observe the same principles and respect the fact that the archer is paired with a coach and will only become involved if required to do so by the coach concerned, and with the agreement of the archer. This system will constitute a working arrangement between the archer and the coach. In the event of a member and a coach working together for a period of time and finding that, for whatever reason, the needs of the archer are not being met the archer or the coach may request a change in the arrangement. This would be accepted as a reasonable occurrence and should in no way reflect upon the ability of either coach or archer. Remember that our sole aim is to assist as many members as possible to achieve their goals. Monday evenings during the winter season, there is an â€œOpen Surgeryâ€� from 6pm. Coaches will be available, especially for juniors and new archers. Other archers requiring help should make an arrangement with a coach, regarding shooting/ coaching at 6pm. During the summer, a coach will be available most club sessions, and this coaching may be â€œad hocâ€� or a booked session. In addition, each year, an equipment maintenance course will be run, and also, a basic equipment set-up course, to help all archers to become more confident and self-sufficient. Supermarine Bowmen hold two tournaments each year, the WA Weekend competition in July and the Marston Arrow in September. Further details of these can be found in the tournaments section. A club competition is held each year and is open to all club members. The Windsor round is shot and includes a handicap award so that all archers can compete on a level basis. Shorter rounds are also shot for Juniors and less experienced members. There is a spot prize for both recurve and compound archers at the 60 yards distance. The spot prize is awarded to the first archer to hit the white spot (about the size of a one pence piece) in the centre of the target. Usually, in the last week before christmas, the club hosts an 'Archery Fun Night' where various games are played, and shooting takes place on a more relaxed basis.